At Primrose Lodge, we have refined our admissions process to ensure your transition from addictive addiction to recovery is as stress free as possible. By contacting us and asking for help, you have already taken a huge step in overcoming your addiction. We will make every effort to make your stay with us as comfortable and healing as possible. Our clinic provides a safe haven to those seeking recuperation and recovery from addiction. We can assure you of a professional and friendly service right the way through your admission, treatment and beyond. Primrose Lodge offers a warm and welcoming environment, decorated to a high standard with quality furnishings and facilities. We even have a dedicated admission team on standby to assist with urgent admissions and provide a seamless service into our treatment programme. On your arrival to our clinic, a member of our admissions team will welcome you. They will be able to offer you reassurance and answer any questions that you may have relating to your stay. You will be given a guided tour of the clinic, so that you know where to find everything you need. You will be shown to one of our beautiful 19 ensuite bedrooms where you will sleep and be helped to settle in. Any valuables you have on your person will be placed in our clinic’s secure safe for safekeeping. Any outstanding paperwork relating to your treatment will be explained to you and completed. We realise that most patients come to us in crisis, and so often arrive confused and intoxicated. We will respond to your needs as our patient and keep your first day as simple and relaxing as possible, allowing you time to adjust to your new surroundings. It is important to us that you feel comfortable and not overwhelmed when you first arrive. Shortly after your arrival, you will be taken to see our qualified addictions specialist doctor for a consultation. Our doctor will conduct a comprehensive assessment of your medical needs so that these can be seen to during your stay. Any medications you are taking will need to be brought along to the assessment. For those that have a drug or alcohol dependency, a full medical detox regime will be prescribed to assist with the detox process. We adhere to strict regulations ensuring your safety is paramount. Your detox will be constantly monitored and supported by our medical and clinical staff throughout its entire duration. A full assessment of any co-occurring existing illness will also be carried out; we want to ensure you receive the correct treatment and medical assistance where required. Additional medication and vitamins may be prescribed in order to support your mental and physical recovery. Our doctors are available every day at the clinic, so should you need to speak to or see someone for a medical concern, we will ensure that it is promptly arranged. In addition to our onsite medical services, we also have access to a hospital close by. Any client who needs a high level of urgent medical attention can be taken to the hospital to be examined and treated accordingly. Primrose Lodge are also able to provide you with a medical certificate for time off work, so that you don’t need to worry about seeing your own GP before admitting to treatment. This means that you can admit urgently and we will take care of everything for you. Primrose Lodge is a Care Quality Commission-regulated addiction rehab facility; we adhere to very strict policies and guidelines with regards to your safety, treatment and medical care at all times. During your first few days of treatment at Primrose Lodge, you will meet and work with our counsellors and therapists. They will work with you to identify the underlying causes of your addiction. From there, your focal counsellor will devise a full and comprehensive bespoke treatment plan. Your input into your treatment is valuable, so all goals and treatments will be approved by you to make sure we are work together towards your full recovery. If you are undergoing a medical detox with us, more intensive therapies will be delivered once you have finished the course of medication. During detox, you are likely to feel foggy and unfocused whilst the alcohol and/or drugs leave your system. You will still benefit from some light therapy and high levels of support delivered by our counsellors and therapists. Once your detox has been completed and you are able to think more clearly, we can then concentrate on your full mental, emotional, and spiritual rehabilitation. Your individualised treatment plan will encompass a number of powerful and proven, effective addiction treatments, ensuring you receive the very best and cutting-edge addiction treatment care. For the duration of your stay, there will be staff and support workers available to speak to 24 hours a day, 7 days a week. We find this is important especially to those who are in their early days of admission or undergoing a medical detox regime. Primrose Lodge offers a very secure environment with CCTV installed in all of the clinic’s main areas and stairwells. This is constantly monitored to ensure that each and every client is safe and well. The clinical team will immediately address any concerns arising. We also have waking night staff, who are trained to respond to emergencies and able to offer support to clients through the twilight hours. You can rest peacefully, knowing that we are doing our utmost to keep you safe and protected at all times. Many patients, who wish to admit to our clinic, find themselves in a position of being unable to drive due to a drug or alcohol dependency. 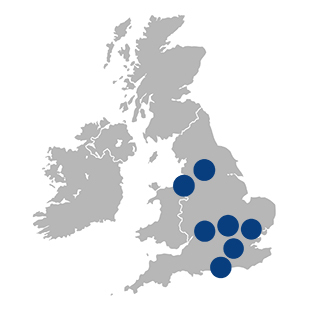 We admit clients from all over the UK, and even overseas. Taking this into account, we provide sober transportation for those that need it. We do not expect you to turn up sober as stopping alcohol or drugs suddenly could have devastating effects on your health. Our sober transport drivers are able to collect you from any location and deliver you safely to our clinic. They will also assist you with packing and ensuring your property is secured before you leave. They are trained to help keep you calm during your journey and provide a friendly and professional service at all times. If you require our sober transport service, please let us know in advance so that your admission is not delayed. If you have any further questions relating your admission, please contact us directly and speak to a member of our team who will be happy to talk you through the process.